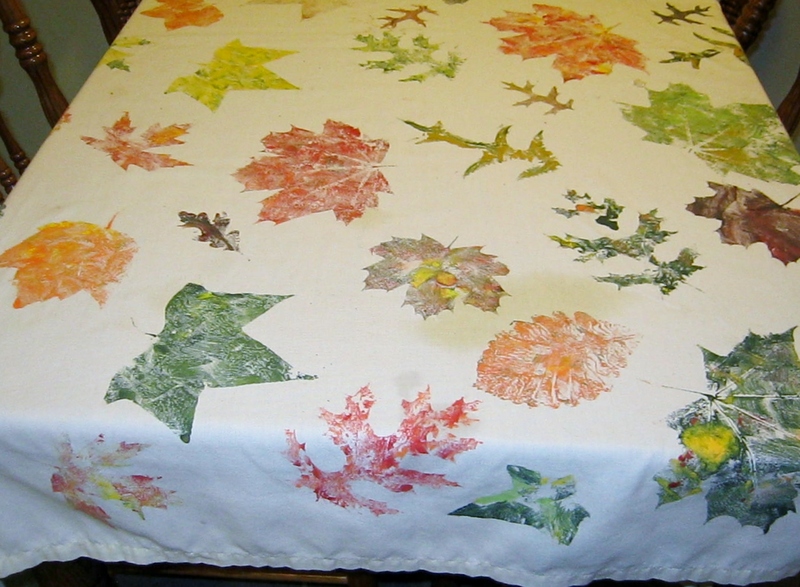 Prepare the tablecloth or sheet: launder them if they are new to remove fabric sizing. If you need a smaller size, cut to size and hem the edges by hand or with a sewing machine. Now you’re ready for the fun…gather leaves that are still soft and pliable. 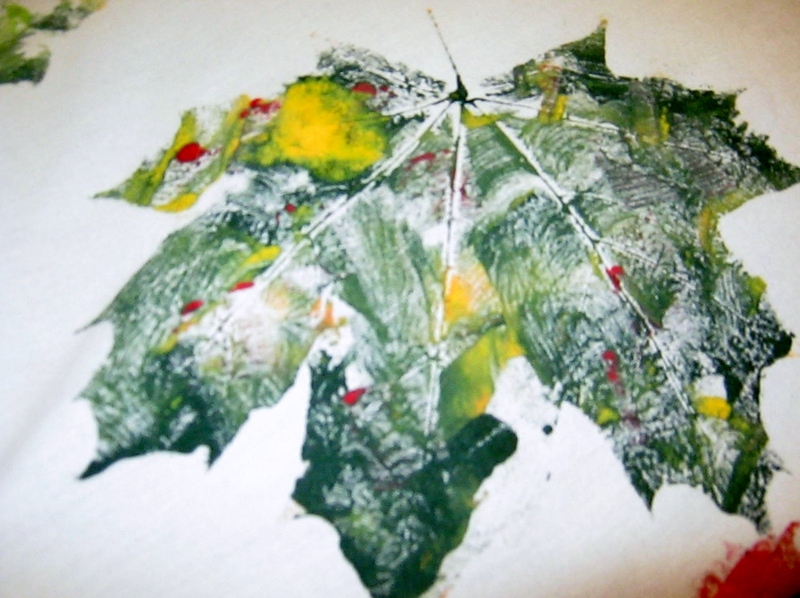 Brown, brittle leaves will crack when you apply paint and pressure to them. Make sure to have protection for your working surface under the sheet, the paint will definitely seep through to the back side. 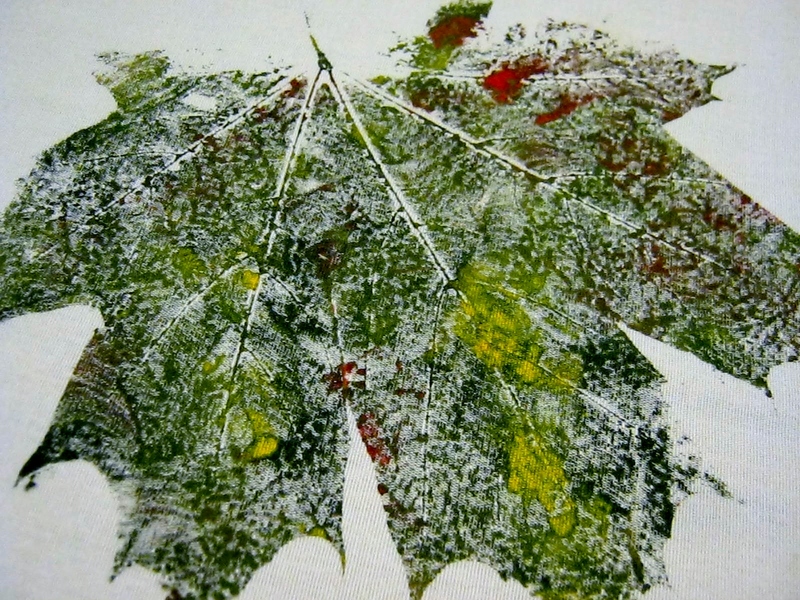 Spread acrylic paint, in Autumn colors, in splotches over the leaves, press down firmly, remove. You have just created a beautiful impression of the leaf that will last for decades. After twenty-four hours your tablecloths can be safely laundered in cool water. They should retain their color for many years. Mine are probably over fifteen years old. Wow, what a lovely project! Thank you. It was a fun project and a good memory. Wow! That’s really beautiful! What a wonderful idea! What a wonderful idea, I would have never thought to do something like this! Give it a try…the more hands the merrier, though definitely messier with many hands. Still…perfection might be possible if you are alone…but making perfect memories might involve others. Kathy, please advise on how you press down the leaves after applying paint on them. And what perfect outlines and leaves you have- you are truly a master craftswoman. Press them down gently with your hands…just a slight pressure will transfer most of the paint. I used the same leaf several times. They will hold up if they are not too crisp.